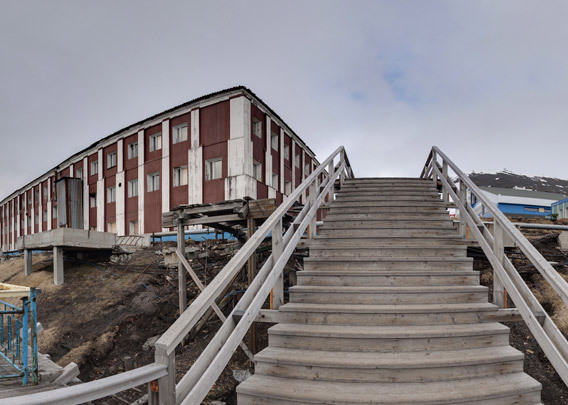 Barentsburg is hard work – at least, if you come from the harbour, as you need to walk up a long, wooden staircase to get up to the main part of the settlement. Of course, there is a street and you could order a bus, but I guess that would be too easy … the stairs are just part of the fun! And you have nice views at any time you want to take a breath. If you don’t like the stairs, then you should have seen the old ones. The current ones were built a couple of years ago. That was in 2008, as far as I can remember. 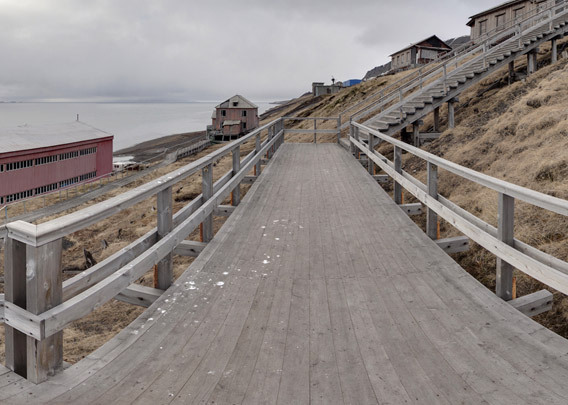 There is a very nice wooden panorama platform next to the staircase in the upper part, exactly when you need to take a rest. The view over Grønfjord is really great in clear weather! The only thing that is missing here is a café … from here, it is not far anymore to the old canteen and the city centre.